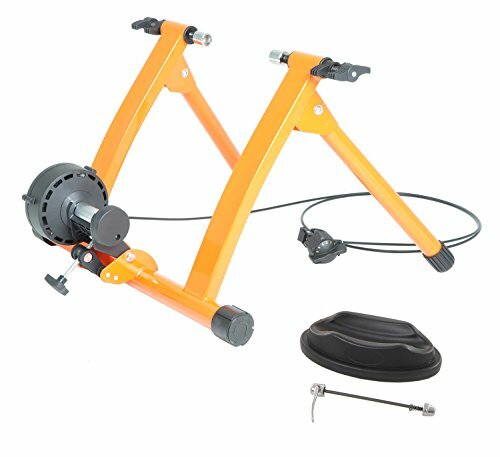 The Conquer magnetic resistance cycling trainer is perfect for anyone looking to stay fit. It features a 5 speed variable resistance unit. The sturdy steel frame folds for convenient storage. Designed for bikes with quick release wheels. Front Wheel Riser Block Included!